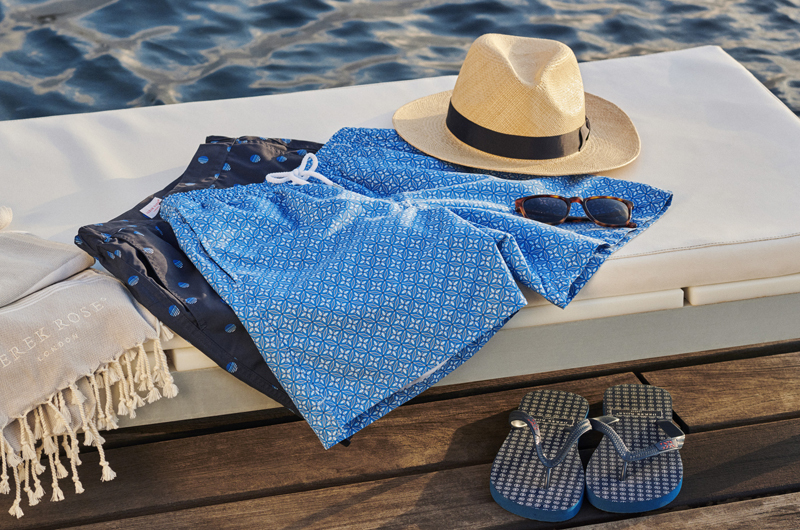 We've designed our swim shorts to be comfortable and stylish both in and out of the water. Our Bali 4 classic fit swim shorts are crafted from a quick-drying polyester fabric which has been pre-washed for a supersoft finish. 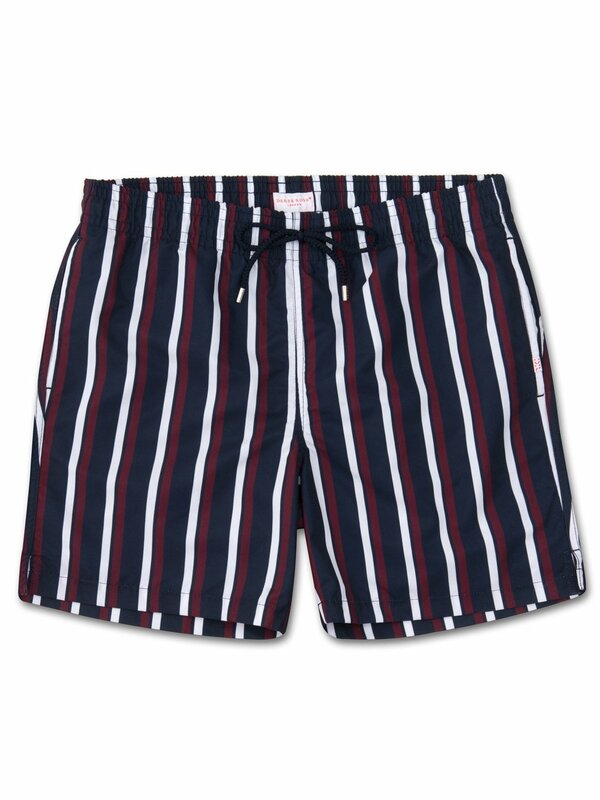 With a nod to our striped pajama heritage, the Bali 4 features multiple thick stripes of white and burgundy on a navy base for a fresh take on this vacation essential. Designed for a more generous fit, our classic style swimming trunk has a fully elasticated waistband and drawstring tie for the perfect fit. The braided drawstring ends are complemented with metal aglets for a luxe finish and the back of the swimshorts feature matching metal eyelets for easy air and water drainage. Unlike most men's swimwear, our inner mesh lining is seamless for a more comfortable fit and our mesh lined back pocket features a pin-lock zip which locks into place when flat to keep your valuables secure when on the move. Our swim shorts also come with a water resistant pouch to carry your cards and cash securely and a drawstring carry pouch for heading back from the beach. The model is 6'1" / 186cm tall with waist size 32inch and chest size 40inch. He wears a size Small.